Getting closer. 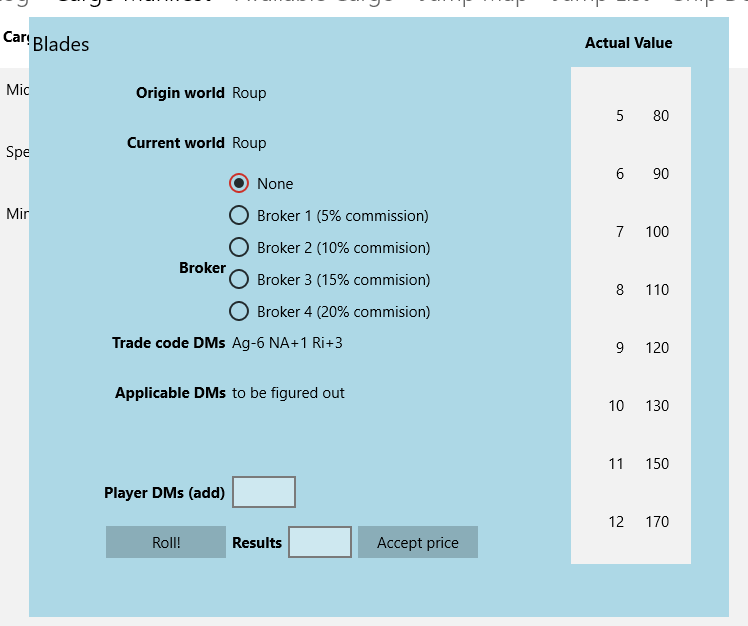 I've added the actual value tables to be version specific, I've added trade code modifications to the Classic Traveller cargo, and I've got the basic sell your spec trade layout in place. 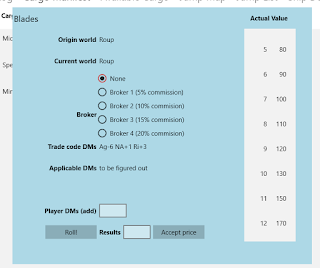 Now I have to figure out which DMs are available, so I will also be adding the current world's trade codes in a display at least, then cross-reference the two so we know which apply. I'd almost rather have the DM based on cargo ID and trade code ID, but the data maintenance side of that would really bring back to mind the accountants in space trope for Traveller. So I took the expedient way and will let the user just enter text. And in re-reading the rules, the purchase price is also affected by trade codes...so I need to revisit that.